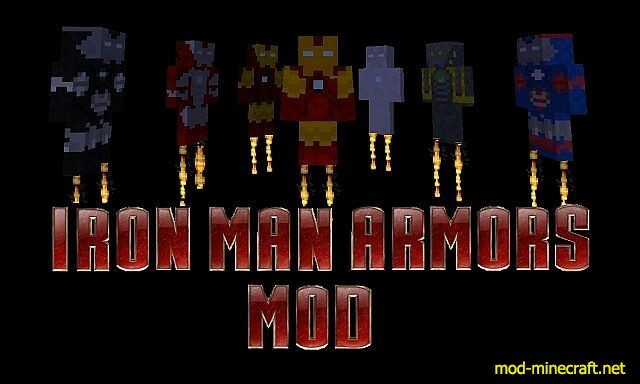 More armors will be added every update!
? Weapons including repulsers and the War Machine Gun.
? A full set of armor can be stood up so you can admire your collection.
? 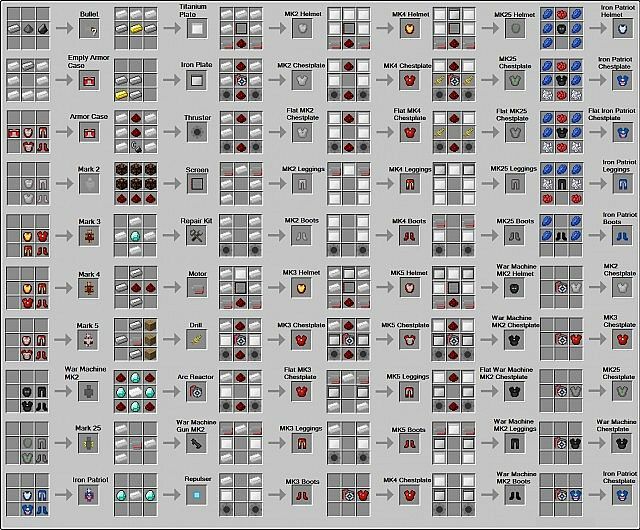 New ores and tools.
? 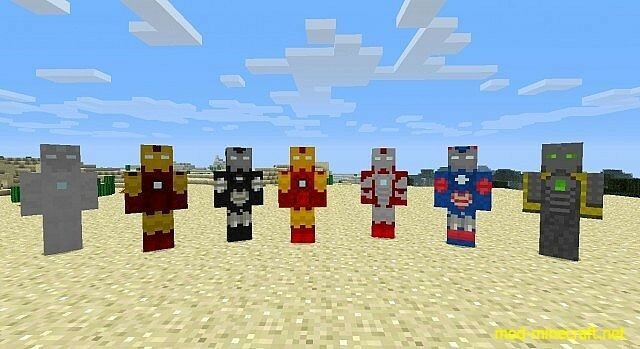 All Iron Man suit give you the ability to fly with added particle effects.
? 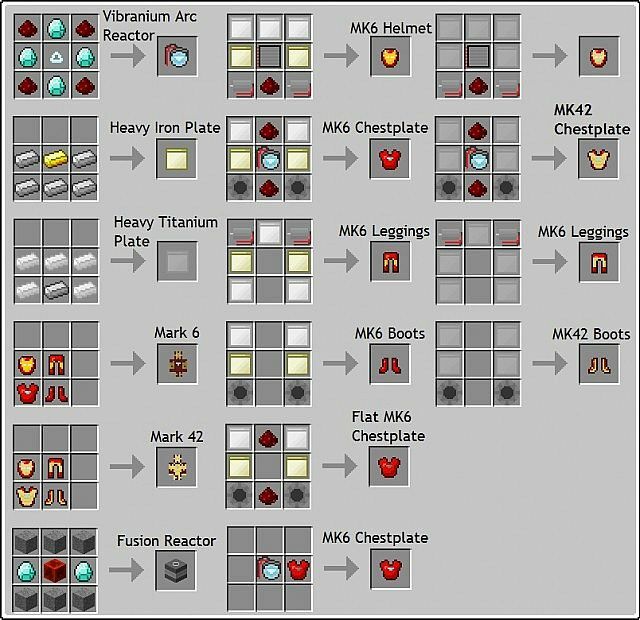 A fusion reactor which allows you to create Vibranium.
? Two types of arc reactors both are wearable! 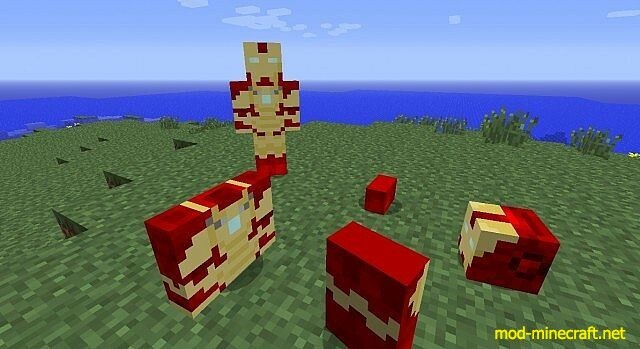 Added: Mark 38 ? Igor. 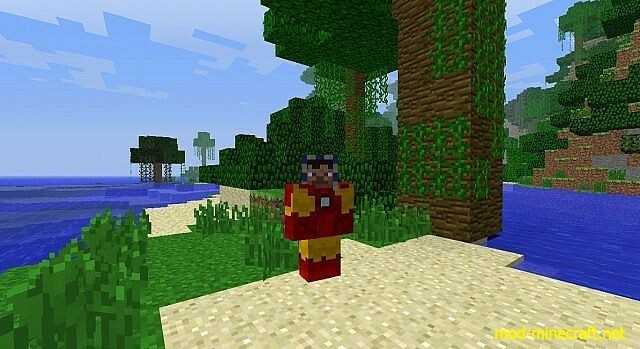 Some work with new armor models. Some work on key config ? a key config has been added called ?missile? but it doesn’t do anything yet.